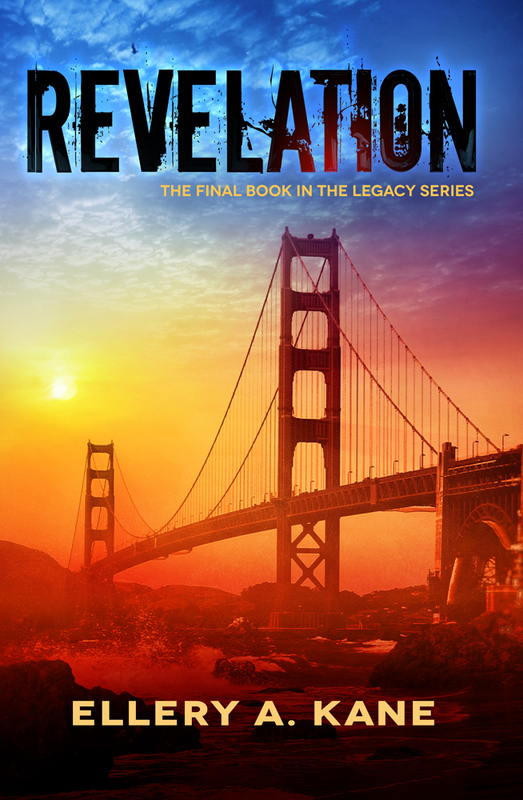 I am beyond thrilled to announce that Revelation, the third book in the Legacy Trilogy, is coming in January 2016. Like its title suggests, Revelation promises to reveal all that is unknown. Today, I’m sharing a sneak peek at the cover, designed by the awesome, Giovanni Auriemma, and a snippet from the back. If you’d like to receive an email when Revelation is released, sign up for my newsletter at ellerykane.com. And if you haven’t yet started the Legacy Trilogy, now is the perfect time. Legacy’s ebook is just $0.99 for a limited time only! The first time I saw, I knew. Just like when old bones can sense a change in the weather. What I saw—what I still see—cannot be unseen. The memories keep returning again and again without warning: Elliot’s lifeless face. My mother’s chest exploding red. The crimson trail of Shelly’s blood in her bedroom. My mother would’ve called them flashbacks, but it felt a lot like being haunted. Lex Knightley is keeping count. It’s been seventy-five days since Quin left for Los Angeles. Seventy-five days without one word from him. Sixty-one since she made a deal with a devil. A deal she already regrets. And exactly thirty-nine days since Onyx—the deadliest emotion-altering medication yet—hit the streets, leaving an escalating body count in its wake. With Zenigenic promising a new drug—an anti-Onyx to make the world a little kinder and a lot more compliant—it seems Xander Steele will stop at nothing to satisfy his desire for power and control. Quin’s dramatic return brings more questions than answers. Lex suddenly finds herself right in the middle of it all . . . on a run for her life. It’s a race against the clock to uncover Steele’s diabolical plan as the fate of San Francisco hangs in the balance. Can Lex finally fulfill her mother’s ambition to expose Zenigenic—or is it already too late?